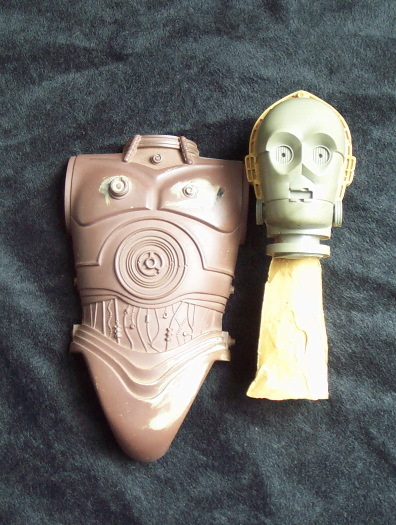 These are unpainted hardcopy pieces to the C-3PO large sized action figure from the vintage Kenner line. Note the extreme detail in the chest area and the circuitry. The 12 inch C-3PO was originally sculpted in acetate. Amazingly enough, the entire original acetate sculpting survived and rests in collector hands today. The acetetate sculpt may be viewed here.